At one time the Villa was used only as a seasonal residence, but for 80 years the family has lived at Canneto year round. 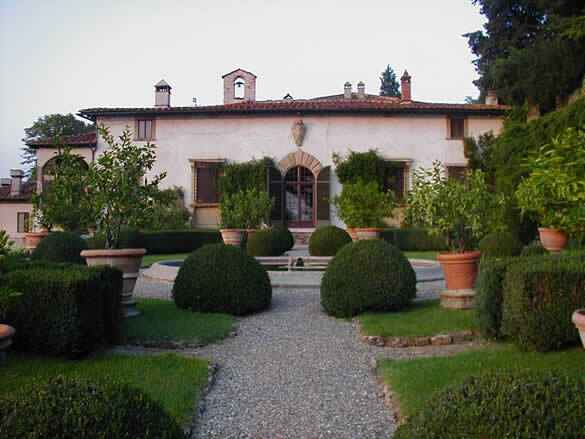 The Bed and Breakfast was created by Giovanna Rucellai Piqué in 1975 when she began to host members of theater companies working in Prato. By word of mouth the Villa Rucellai di Canneto became known as a one of a kind place where the guest is treated to family hospitality. Today there are 11 rooms available for guests, all unique in size and décor, each with private bathroom. Single rooms are €90,00 and double rooms are €100,00 with the breakfast included. Air conditioning is available in most rooms.